On July 29, 2016, FBI agent Peter Strzok sent his mistress, Lisa Page, a text regarding a speech Chelsea Clinton gave at the Democrat National Convention (video below). 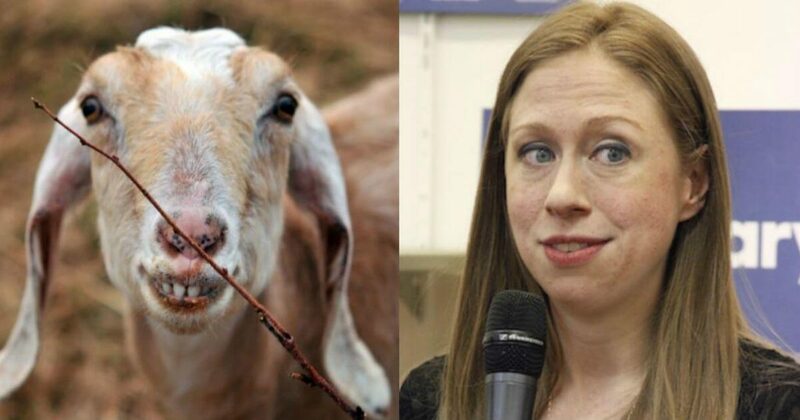 Strzok made fun of Chelsea, claiming she sounded like a billy goat. In the second rare video, the lost Clinton, Bill Clinton’s illegitimate son Billy Gote Clinton, sings the popular Christmas carol Silent Night.